Alpena, Mich—The weather outside didn’t keep folks from attending the biggest night in Alpena. Over 700 people made their way to the annual Chamber of Commerce dinner. This year’s theme: ‘Seasons of Alpena’ truly fit tonight’s occasion. 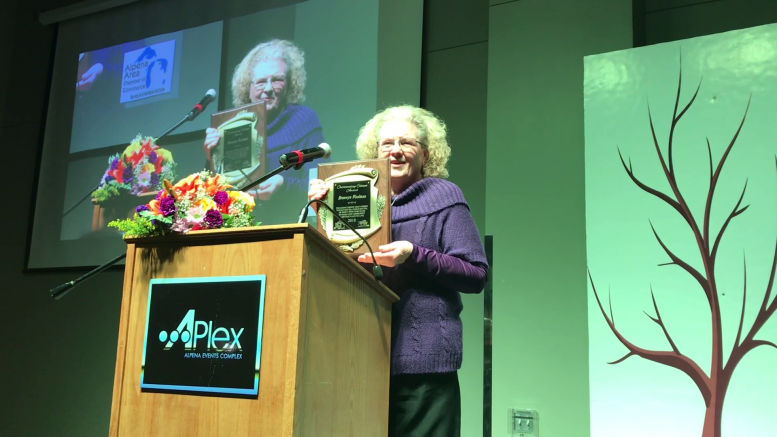 The ‘Citizen of the Year’ award was a special one, as Girl Scout leader, community organizer, and church leader Bronwyn Woolman walked on stage to receive her honor. During her speech, Woolman told the crowd that she was shocked but proud to represent Alpena as a community who embraces family. She also encouraged everyone to take time out to become a volunteer.